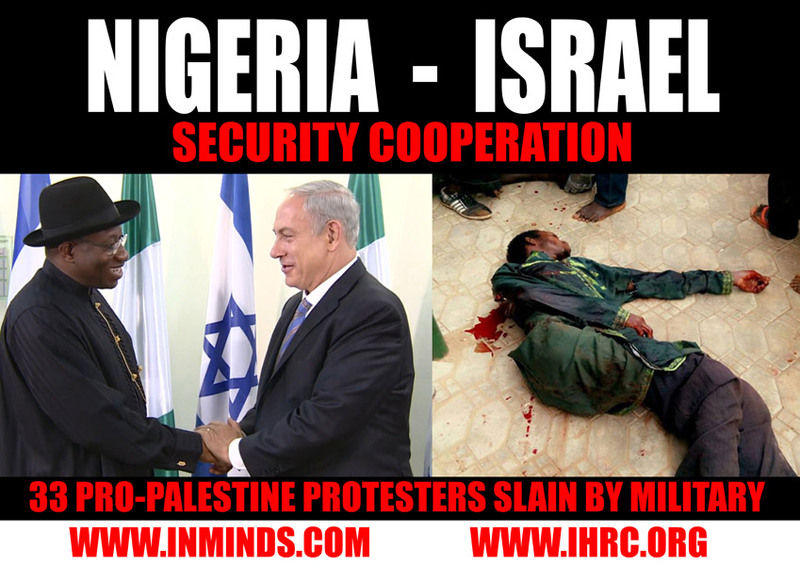 Press Conference On Quds Day Massacre 2014 by Sheikh Zakzaky on July 26, 2014. Those in atendance were FRCN, Blue Print, Aminiya, Leadership, Queen FM, Nagarta Radio, Reuters, and Almizan. Free Zakzaky Protest in Kaduna on Saturday the 8th of September 2018. 1000 days gone since the detention of the Sheikh Zakzaky, his wife and hundreds followers, a massive protests took place arround the world. The Federal Capital Abuja witnessed such a protest today Friday the 7th of September 2018. 1000 days of detaining Sheikh Zakzaky: The injustice is enough! Today 07/07/18 marks 1000 days since the Zaria massacre of 12-14 December, 2015, when soldiers on orders from President Buhari killed unarmed civilians in Zaria, Kaduna state on a false pretext of blocking the path of the Chief of Staff on the Nigerian Army. A 1000 DAYS OF SHAIKH EL-ZAKZAKY'S UNJUST DETENTION; AS THE WORLD EARNESTLY CRIES FOR HIS FREEDOM! In the name of Allah Who states "And think not that Allah is unaware of what the wrongdoers do. He only gives them respite till the day on which the eyes will fixedly stare" Q14:42 Peace and blessings of Allah be upon His noble servant, our master Muhammad and his purified progeny. Nassive Free Zakzkay protest in Abuja on Wednesday the 5th of September 2018. Free Zakzkay protest staged in Abuja on Tuesday the 4th of September 2018. A fresh Free Zakzkay protest was staged in Abuja on Thursday the 16th of August 2018. Ghadeer Commemoration took place in Abuja on Wednesday the 18th of Dhul Hijjah 1439 (29th of August 2018). 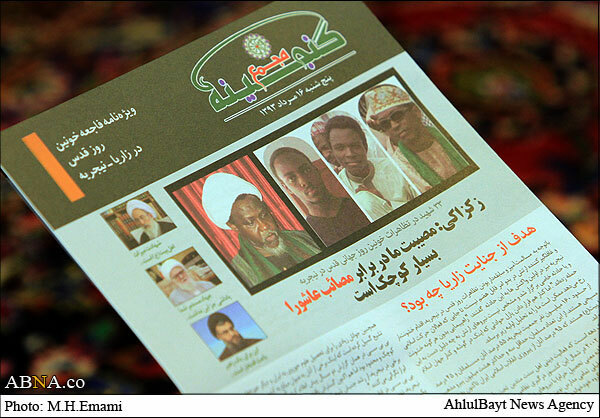 Sheikh Saleh Lazare from Niger republic delivered a lecture on the event of Ghadeer. More pictures taken during Massive Free Sheikh Zakzkay protest in Abuja on Wednesday the 29th of August 2018. Massive Free Sheikh Zakzkay protest in Abuja on Wednesday the 29th of August 2018. Free Zakzkay protest staged in Abuja on Tuesday the 28th of August 2018. A fresh Free Zakzkay protest was staged in Abuja on MOnday the 27th of August 2018. I was shocked when my attention was drawn to a claim by a faceless NGO that goes by the name ‘Coalition of Arewa CSO for Progress and Change’ that is no doubt run by some jobless fools that could feed on anything at all, even on human blood. The Islamic Movement in Nigeria has cried out over the activities of some civil society groups waging a campaign of calumny against it in the media, which it says is sponsored by the Nigerian Army. The Islamic Movement in Nigeria under the Leadership of Shaikh Ibraheem Zakzaky Zaria Chapter pays a courtesy visit to scholars in Zaria. Shaikh Abdulhameed Bello led the entrouge. The Movement undertakes such a visit during during Eid festivals with view of strenghening unity among Muslims. EID AL-ADHA: BEYOND THE SLAUGHTER! The Islamic Movement in Nigeria has accused Kaduna state government of Elrufa’i of sponsoring hate speech campaigns against it, with the public presentation of a Book early in the week at Arewa House, Kaduna, during which Shias were called infidels by the organisers of the event. “We belong to Allah and to Him we shall return!” What a calamity! 980 days have passed since when the tyrannical regime of the federal government is detaining the Leader of the Islamic Movement in Nigeria, Sheikh IbraheemZakzaky, even though a federal High court has ordered for his release almost two years ago. Indeed any well-meaning Nigerian will begin to wonder what the federal government up to when it flagrantly disregard a valid court order to release the Sheikh and instituted some spurious charges against him recently. A fresh Free Zakzkay protest was staged in Abuja on Wednesday the 15th of August 2018. KADUNA FALSE FLAG: Public shall take note and understand the Government Confessed Plan to infiltrate the Islamic Movement to carry out Horrific and ubleleivable acts in the name of the Movement. They have admitted during JCI sittings that they have agents in Islamic Movement in Nigeria. The Abuja CP recently made same confession. Kaduna Police killing is one of false flag operations as its not nature of IMN to klll, or take up arms no matter the level of provocation. In Kaduna alone over 27 people have been killed by the Police with order of Nasir Elrufa'i since the beginning of free Zakzaky protests in Dec 2015. Daily Sit Out Demanding An End To The Killing Of Brothers And Zazaky's Release Commences In Abuja Wed the 17th of Jan 2018. SUPPORT A CHILD AND FAMILY OF MARTYRS. Donate now Please, Pay Direct, Account Name: Shuhada Foundation, Acc. No: 1004801776, United Bank of Africa (UBA). No Human Power Can Suppress the Will of the People. 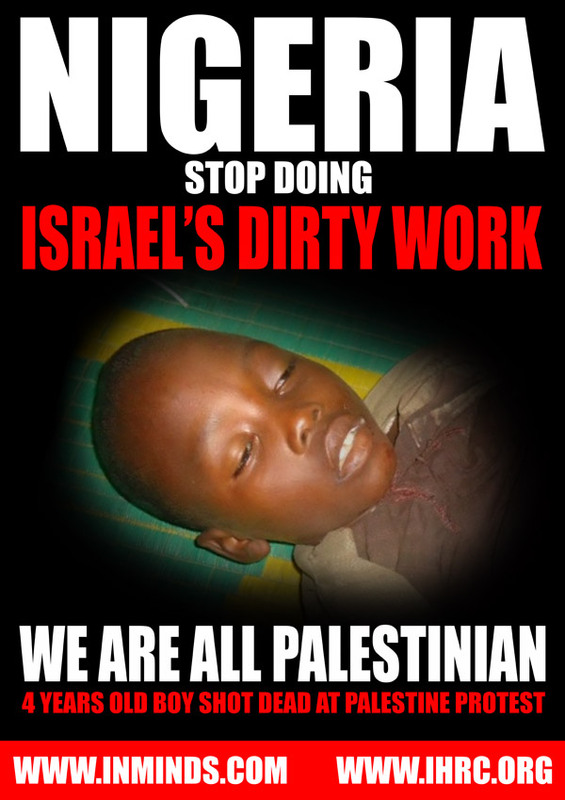 Oppressors shall get nothing but disappoitmnet, disgrace and shame. On Allah we Depend for Protection. “Our weapon is positive reasoning, truth and good conduct. Guns are for the reckless and foolhardy. We have been conducting our affairs peacefully, calling people to the truth for the last 36 years. So you cannot come overnight and attribute violence to us, that we now resort to killing people. This is impossible. We save lives, not kill them." -Shaikh Ibraheem Zakzaky (h). 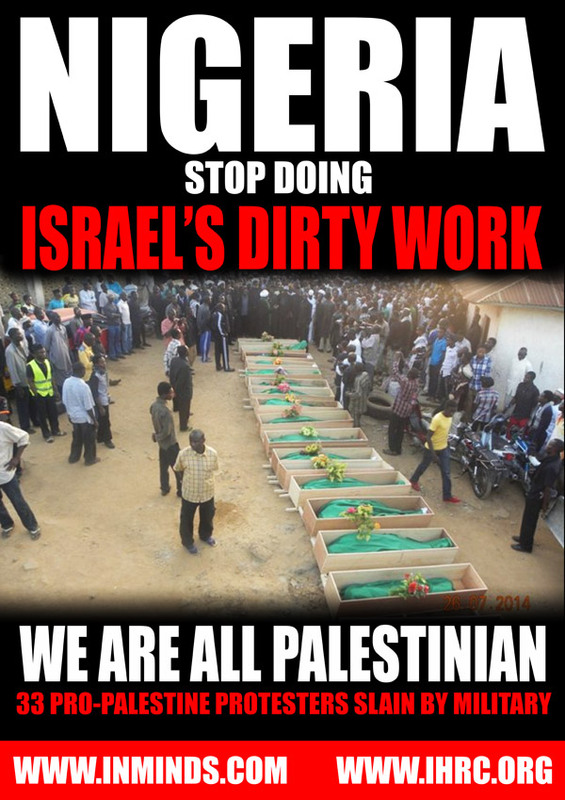 On 25 July 2014 Nigerian soldiers attacked the annual al-Quds Day procession in support of Palestine in Zaria, a city in Kaduna State in northern Nigeria. The following day, soldiers drove to the Husainiyyah Baqiyyatullah and opened fire on supporters of the Islamic Movement within the precinct of the main building. 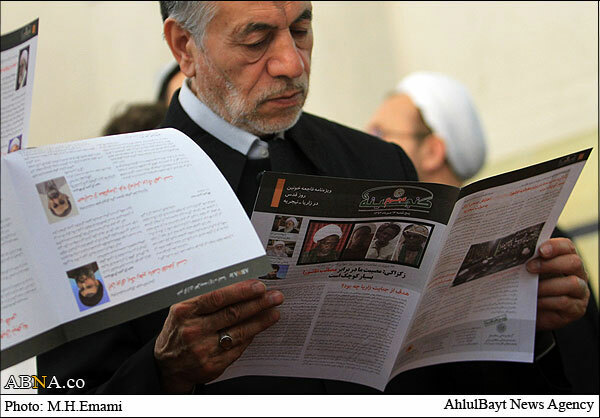 Last year a fact-finding mission was sent by IHRC and led by chair Massoud Shadjareh. Complete with interviews, expert testimony and more; we attempt to unearth the reasons behind the horrific killings. 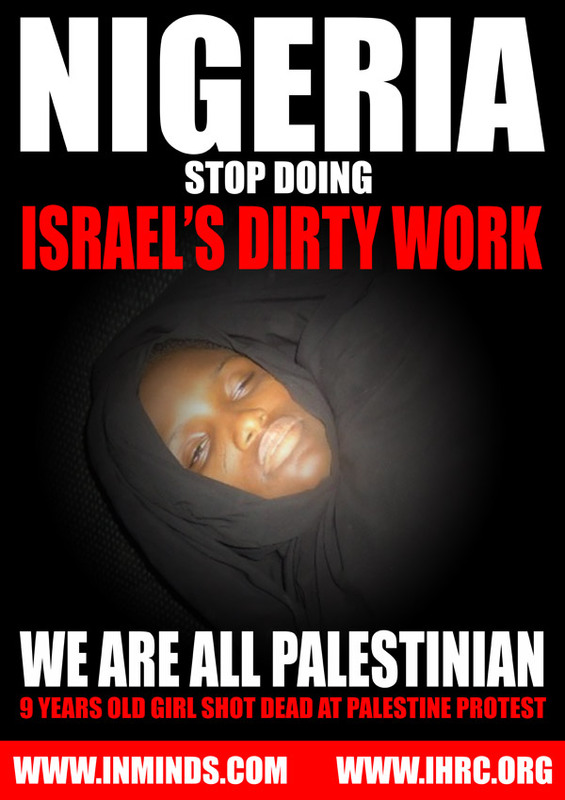 Placards displayed at Nigerian High Commission London on 28 July against Quds Day killings by Military. 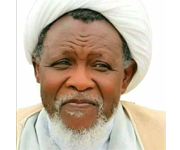 "During my brief encounters with Sheik Zakzaky at various times, I must confessed that, I'm yet to see any Nigerian that can claim to being more patriotic than him. He is a man of outstanding knowledge, sublime patient and excellent in sound mind and thought. 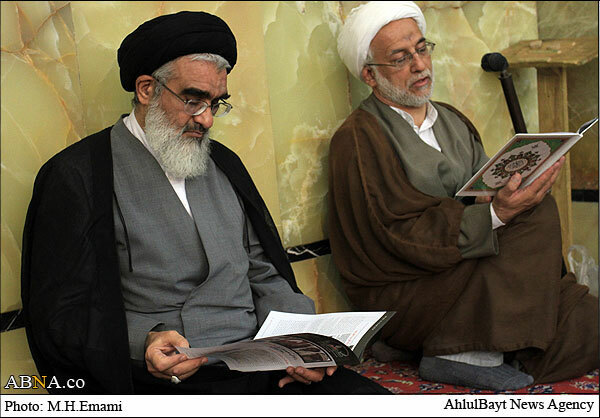 Many see him from the point of religious leader and engage him in unwarranted and myopic rivalries out of jealousy. However, in him is much more than being a religious leader .He is a great organiser of people, who earned people's respect and adoration. His types can effectively lead a Nation. He is indeed a factor of national unity in Nigeria. I will never stop calling for His unconditional release. He should also be allowed to have access to best medical attention immediately. 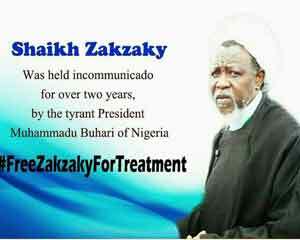 Someone certainly is deliberately mis-informing The President and Presidency on the truth about this National Asset called Sheikh Zakzaky." “As far as I am concerned, the Zaria killing is a National disaster. I expected the President to have declared a national mourning, especially because of the number of people that lost their lives.“There is no way the President would not be held responsible because the buck stops at his table,” Bishop Kukah. The General Conference of the Islamic Movement kicks off in Birnin Kebbi.